Susan Lee Studios: It's February. There's no denying a new year is well underway. It's February. There's no denying a new year is well underway. This year I'm once again attending Gallery @ ACTS (Atlantic Craft Trade Show). This is a wholesaler's event, for craftspeople from all four Atlantic provinces to market their wares to buyers from across the country and the US. The Gallery portion is a smaller venue alongside the main buyer's marketplace, where artists who wish to solicit gallery interest in their one-of-a-kind work can display it for the visiting gallery reps who come to the event for this purpose. I participated in Gallery @ ACTS in 2013, and found it very educational. Last year I didn't want to take time away from preparing my work for my gallery exhibition in St. John's in order to attend, but this year I am returning - with some of my more sculptural work. The first year I attended gave me lots to think about how I would approach it the next time I attended, and improving my gallery displays was one area I wanted to do differently. I've probably mentioned before that I love thinking up and designing new displays, and if I weren't so far down this jewellery path I might just go into display creation simply for the never-ending puzzles it presents! Portability is always a huge factor for me, and since I am transporting my display to Halifax, on a plane, I had to think "lightweight", and "disassemble-able". 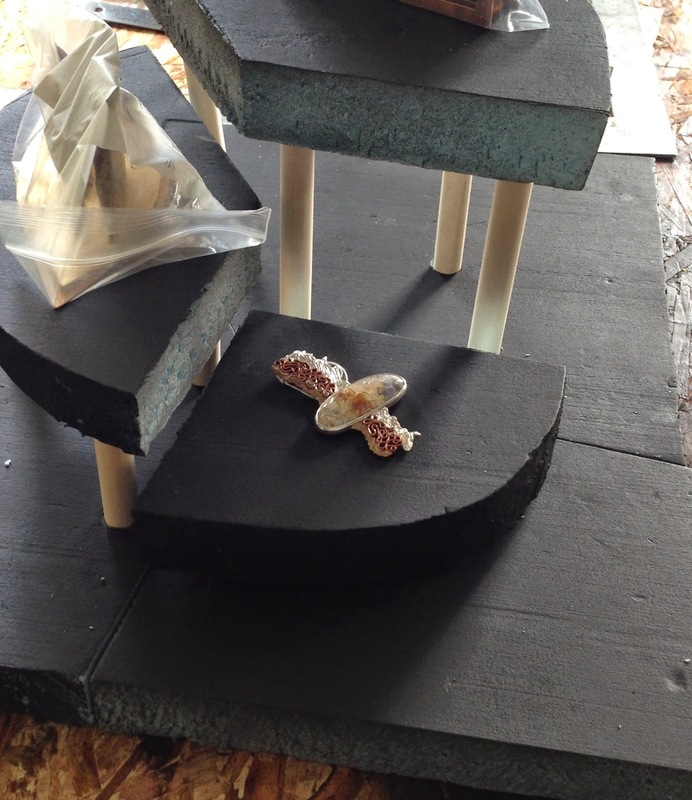 I settled on shaping blue insulation foam and using dowels to create platforms. 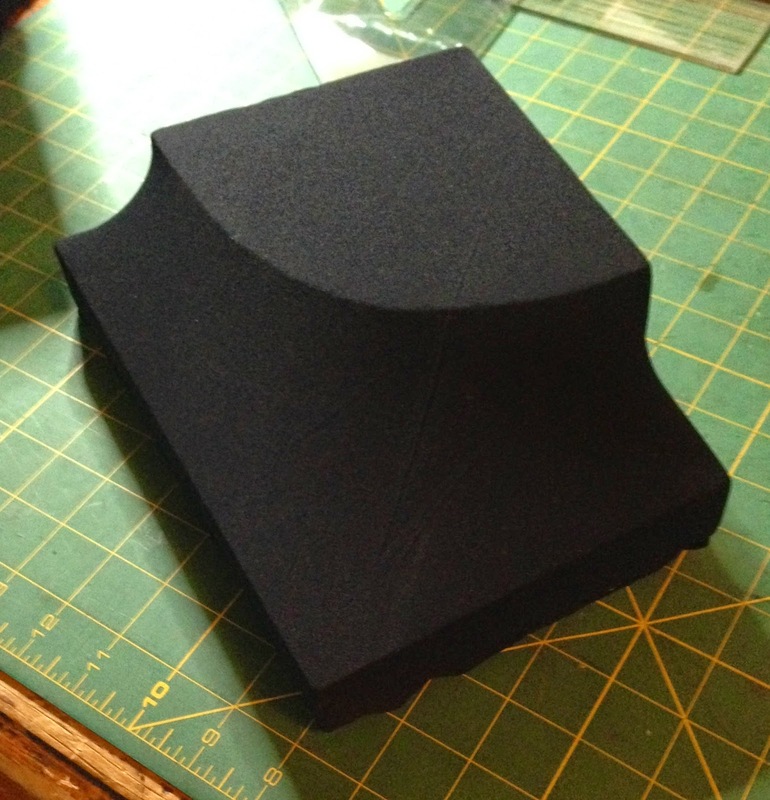 These are then covered in a stretchy black fabric held in place with pins. The photos (above, and at right) are not great, but hopefully you get the idea. February also brings with it that ultimate of heart-encrusted holidays - Valentine's Day. It's difficult as a jeweler to let it slip by without producing something for the occasion. This year there is a perfectly timed exhibition opening in the Annex Gallery at the Craft Council of Newfoundland & Labrador entitled All Kinds of Love. 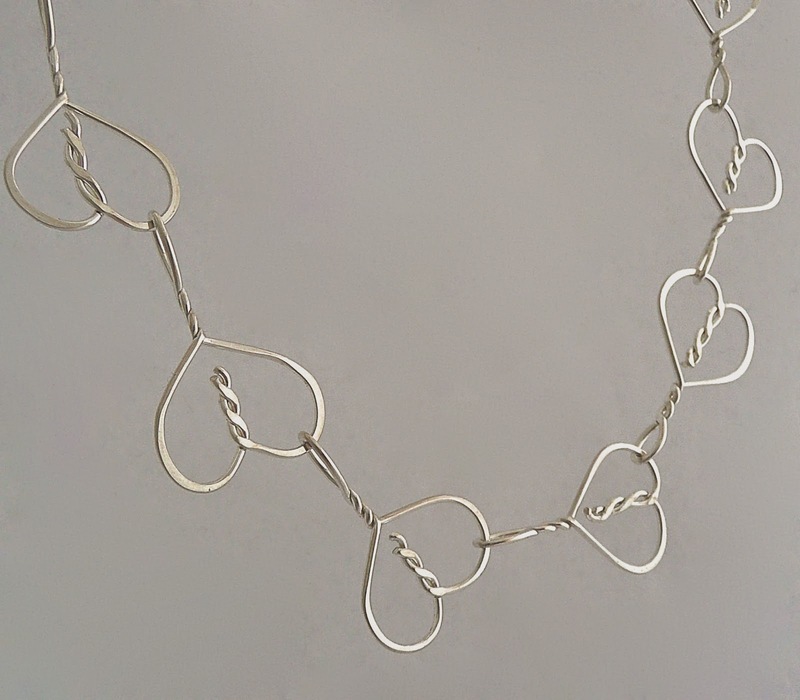 I don't do much wire work, but the idea of a bleeding heart necklace has been rolling around in my mind for some time, and this provided the perfect reason to execute it. I am also happy to be invited to be a studio guest at Alexis Templeton's annual February hearts event. 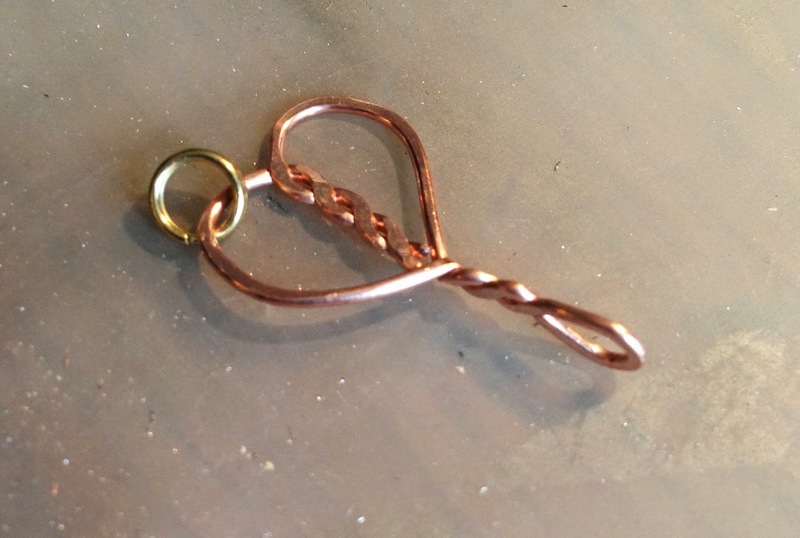 On February 14th I will be doing a demo on how to create your very own bleeding heart charm out of copper wire. This event will run from 12-4pm, please drop by and visit! Alexis' studio is at 75 Quidi Vidi Road.